Fats, oils, and grease (FOG) and source separated organics (SSO) were treated with the microwave-enhanced advanced oxidation process (MW-AOP) at 90 and 110 °C, with varying amounts of hydrogen peroxide dosages. The treatment efficiency, in terms of soluble substrates and volatile fatty acids (VFA), increased with an increase in both temperature hydrogen peroxide dosages. Fatty acids and compounds with carbonyl group and/or hydroxyl group in both initial and treated FOG samples were identified by gas chromatography-mass spectrometry. MW-AOP treatment temperatures and hydrogen peroxide dosages dictated the formation of degradation products. The degradation followed peroxidation mechanism to produce lower molecular weight substrates such as short chain fatty acids which would be less inhibitory to microbes. After the MW-AOP treatment, both SSO and FOG comprised of more soluble and low molecular weight compounds. These compounds included VFA and nutrients that would be readily available for bacterial or plant uptake. Technical help provided by Indre Tunile, Sam Khalifa, and Nadia Langenberg is acknowledged. The study receives a research funding partially by the Agri-tech Innovation Challenge, the BC Ministry of Agriculture, and the BC Innovation Council. Lo, K. V., Ning, R., de Oliveira, C. K. Y., De Zetter, M., Srinivasan, A., & Liao, P. H. (2017). Application of microwave oxidation process for sewage sludge treatment in a continuous-flow system. 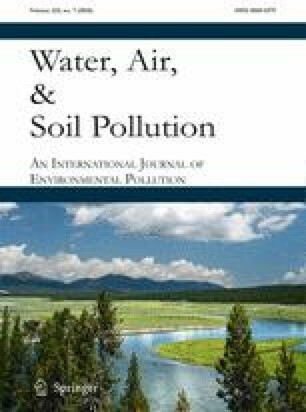 Journal of Environmental Engineering, 143(9). https://doi.org/10.1061/(ASCE)EE.1943-7870.0001247.